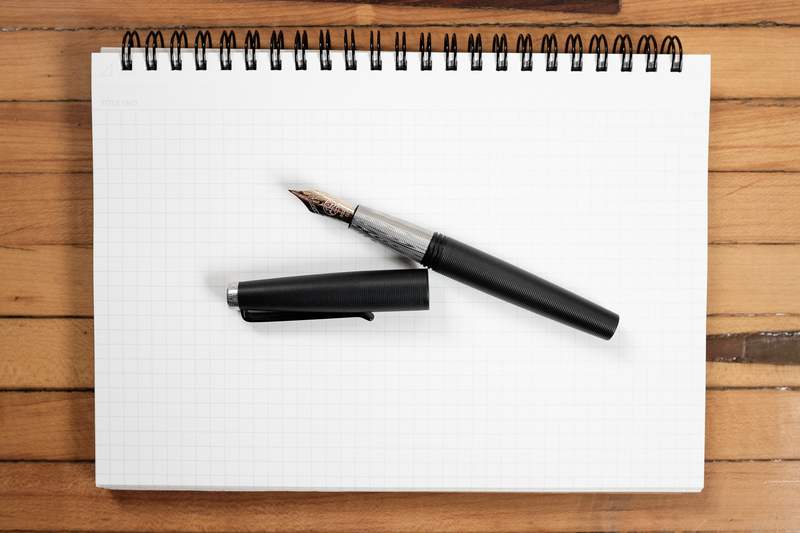 Description: A machined fountain pen that POSTS! Nib: Steel, Titanium, or Gold, EF, F, M, B.
I’m starting this review off with a big disclaimer, just so everyone knows where I stand before the review. Will, the man behind Tactile Turn, is not just a friend, but a photo client. I was hired to take the photos for his Kickstarter campaign, so yes, I was paid for my services. I’ve been speaking to Will about this fountain pen for the better part of a year, whether it was giving advice, input, or simply just being excited about it. I’ve had a prototype of the pen for about a month now, and I really, really enjoy it. 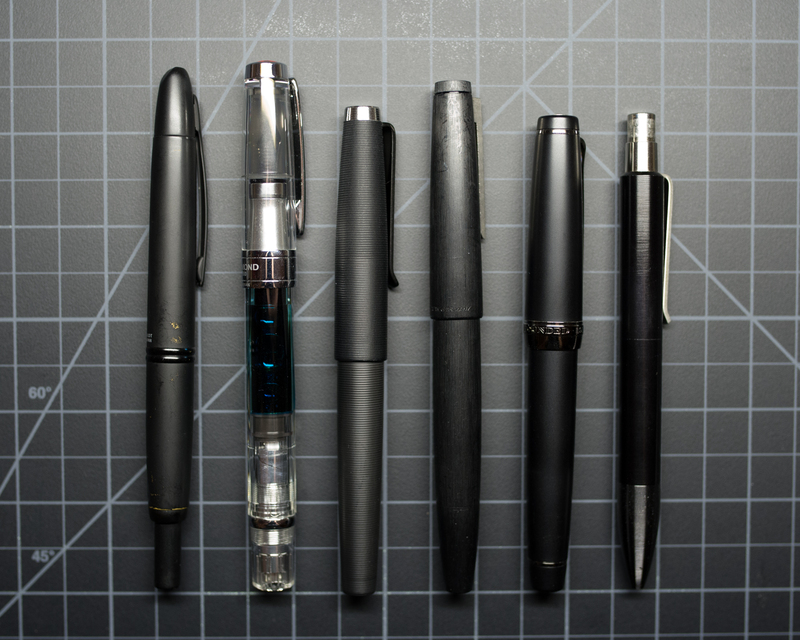 I have backed the Kickstarter myself, with my own money, because yes – I really like the pen. I have no further financial motives, I don’t get anything else if the Kickstarter hits a million dollars. I just think that this pen is a breath of fresh air in a somewhat-stagnant world of fountain pens. 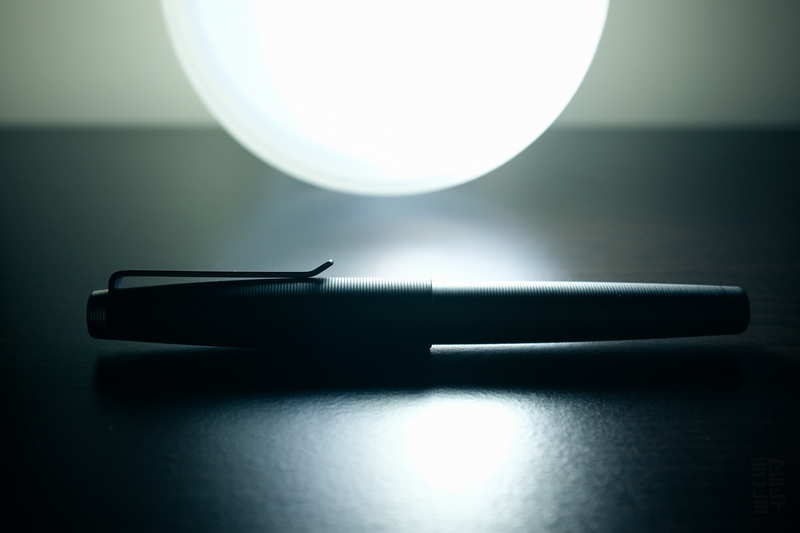 My intent is not to steer people wrong because of the involvement I had in this project, but fill them in about a pen that provides something different than what’s out there. Please keep this in mind as you read the review, enjoy! The Gist both looks and feels familiar. 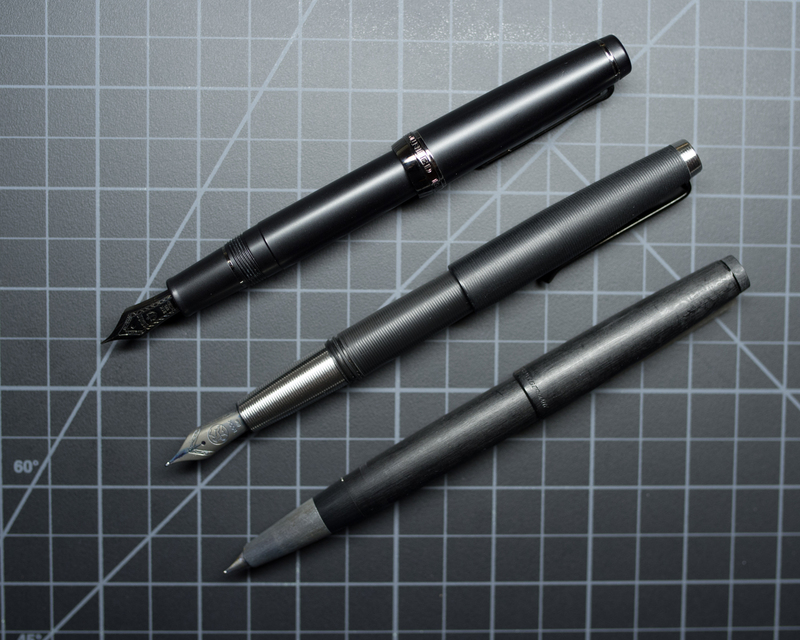 It’s similar to the Lamy 2000 in size, shape, and weight (the poly/Ti version at least). The one glaring difference is the ridged pattern seen on Will’s pens that adorn the entire length of the body. If you’ve used a Tactile Turn before, you’ll be familiar with the “bite” and control that this grip gives. 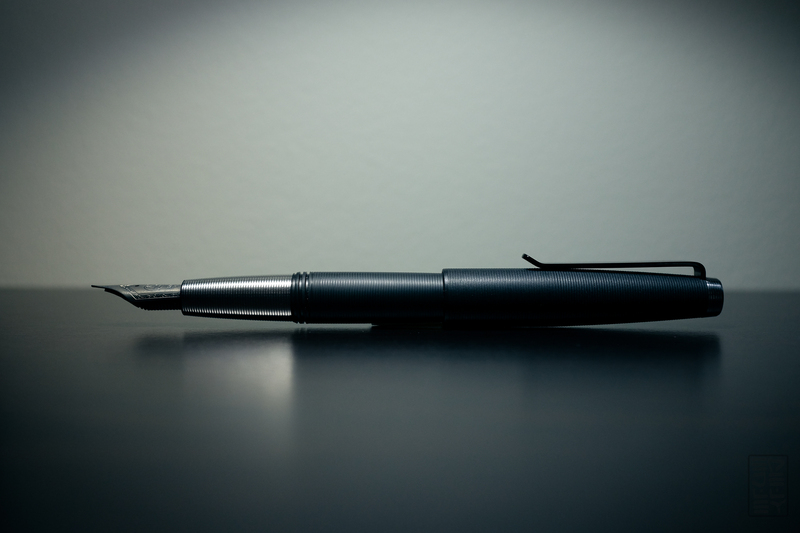 The pen is nicely balanced, comfortable to write with, and I really like the fact that it has a #6 nib. The grip section of these pens are mostly metal. Typically, metal grip sections can get slippery real quick. That’s not the case with the Gist. The ridges allow you to grip the pen without squeezing too hard, making them comfy for longer writing sessions as well as quick notes. The grip tapers into the nib section, so be careful about choking up too much on the pen. You may encounter inky fingers if you aren’t paying attention. I haven’t found this to be much of an issue, as it’s comfortable to grip the pen slightly above where the feel and grip meet. 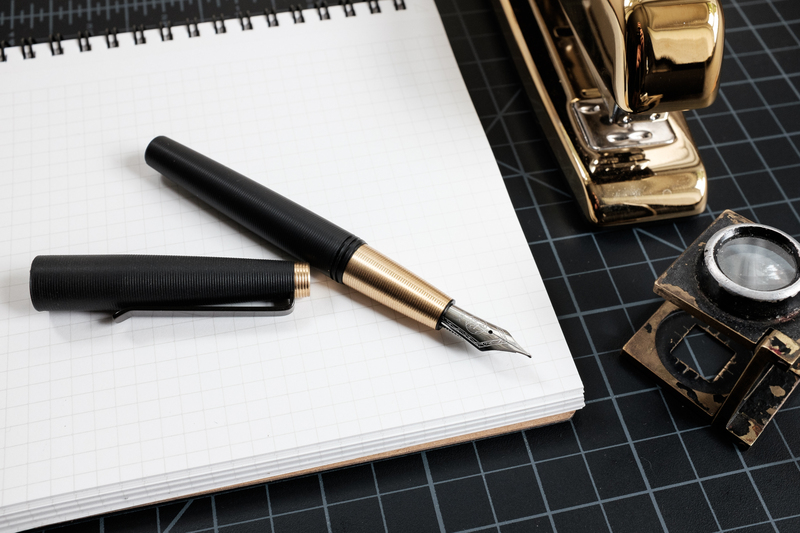 The Gist pens feature a #6 Bock nib in either steel, titanium, or gold. I’ve been using the Ti version for the better part of the month, and I was surprised at how smooth it wrote. I’ve heard mixed reviews about the titanium nibs, but the extra fine one I have is smooth, has good flow, and the springy nature of titanium adds a nice amount of cushion to the writing. 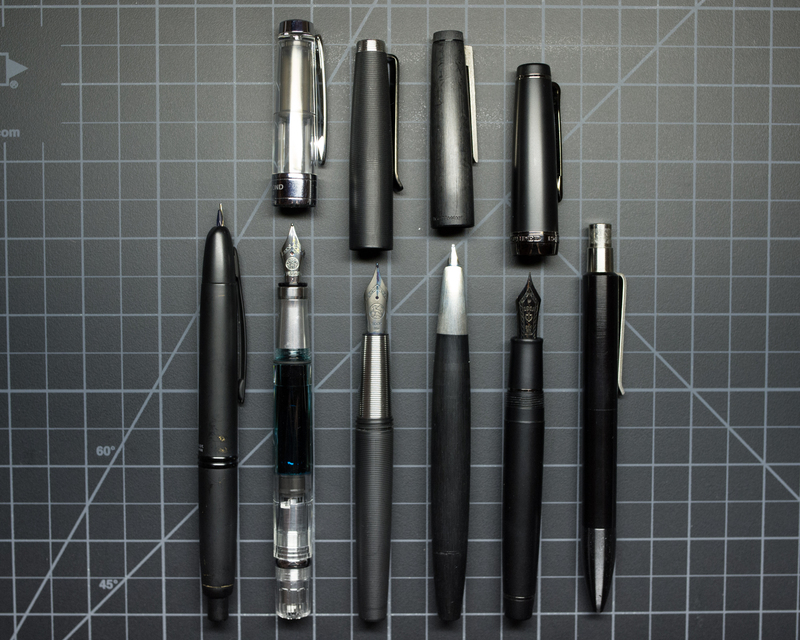 Once the entire batch of pens showed up, I swapped out the EF for a B just to see how it is. The B isn’t as great as the EF was, I experienced a few hard starts, but once you’re writing, it’s great. I couldn’t resist trying out the steel and gold nibs, both were smooth. The gold provided a little bit of additional cushion and had slightly better flow than the steel. These pens fill with an international size converter, the experience was standard, no complaints here. I’ve been looking forward to this pen for a long time, and I can honestly say it delivers. I’ve backed the project for a polycarbonate w/ brass grip/finial for myself. 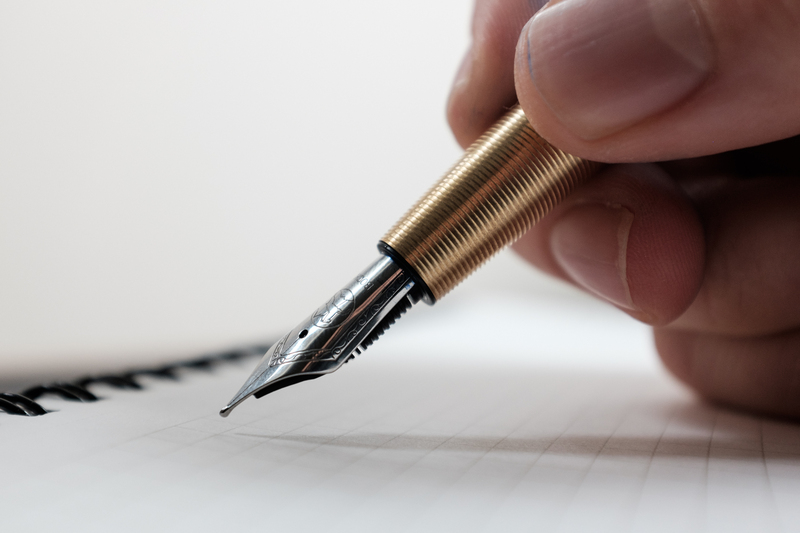 The pen is comfortable, well-balanced, robust, and looks great. There’s not much else to say other than it feels both fresh and familiar at the same time. I can see myself adding more of these to my collection as time goes on, there are so many great options and after handling each and every one, it’s honestly hard to pick. 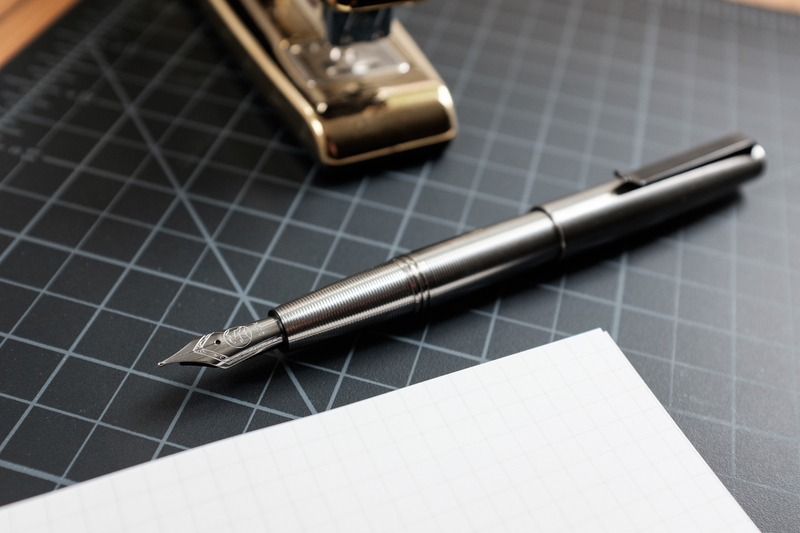 The Gist starts at a reasonable $59 and can be customized all the way up to $228 (full Ti pen w. 14k gold nib), so there really is something for everyone. Head on over to the Tactile Turn Kickstarter to secure one for yourself! Any thoughts on the zirconium? I was torn between polycarbonate with stainless, titanium, or zirconium section and ended up going with zirconium because I liked the way it looked against the polycarbonate (particularly with a darker titanium nib). I’m just curious if you had any impressions on feel, durability, aesthetic, etc. Your instagram posts put this on my radar and I’m really excited for it. The zirconium is definitely cool. It’s strong, just as grippy as the other metals, and looks great. The dark grey/black oxidation seems to be strong. I can’t say over time how it will hold up, but many EDC tools are made from the stuff without issue. You definitely didn’t make a bad choice! Man, that is one tempting pen and I do not have a titanium nib. Little small though… Hmmmm. Where can I find $100??? Hey Ed, awesome review as usual! 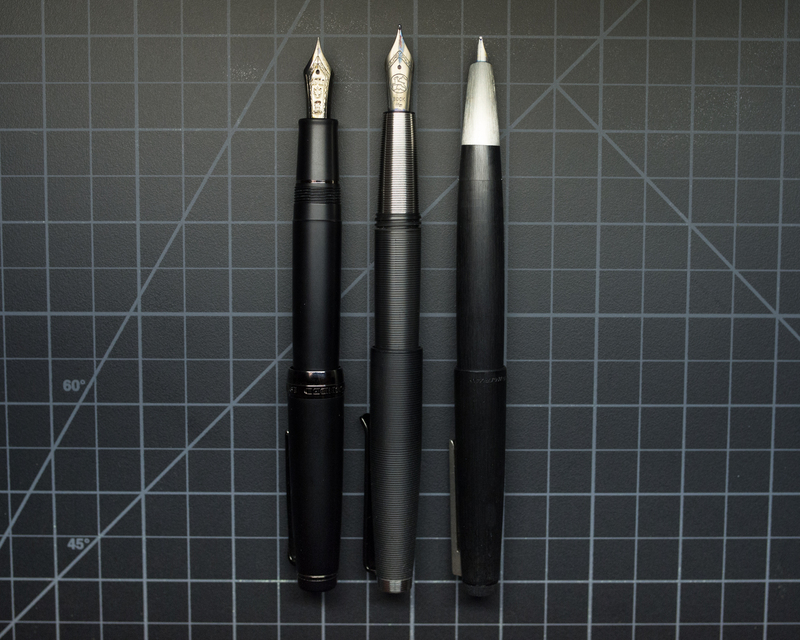 Could you add some comparison shots with common pens like the Lamy 2000, maybe the Karas RenderK or INK too – posted, unposted, capped, etc? Thank you sir! Going to get this done today, thanks for the idea. Great photography. Thanks for the comparison photos as it helped me make a decision for design. 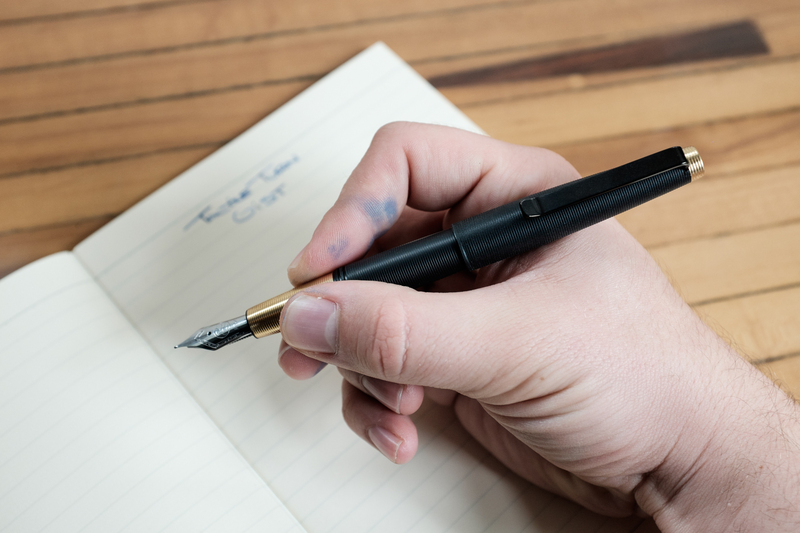 Pingback: Monday Musings | The Southpaw Pen. I have been buying from Will (owner of Tactile Turn) for a while and have never been disappointment. Aside from the quality of products, Will is old school; meaning that he is honest and will not rip you off and expects the same from you. That makes doing business w/him a pleasure. I am the proud owner of a Ti Gist w/Damascus steel grip and finial, topped off by a gold medium nib. The pen writes like a dream although I am waiting for a fine nib that Will is shipping for me to trial out. Nevertheless, the Gist is so nice that I have ordered a copper version already and likely won’t stop there either. 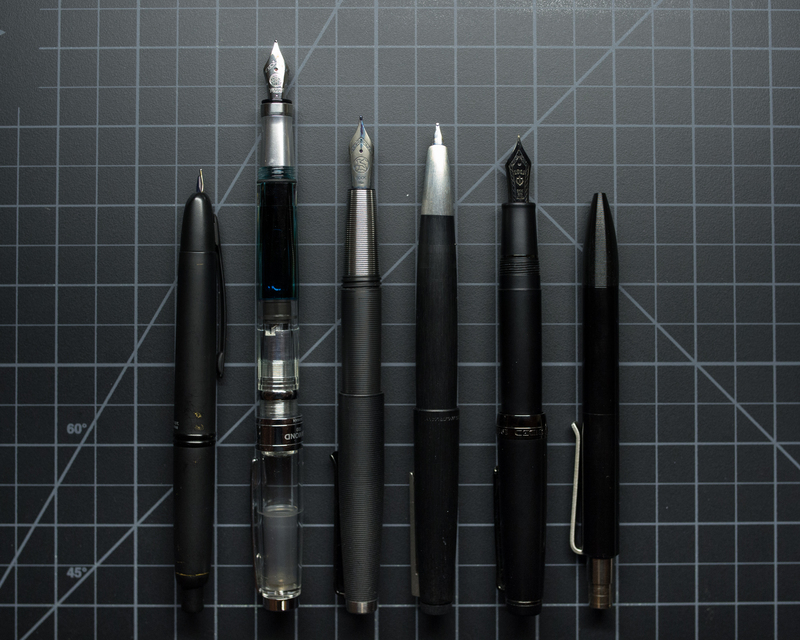 A very nice option of the Gist is what I have coined “Frankensteining.” Due to the interchangeability of various parts w/each other, each pen can be totally modified in case you get bored by the looks of it. Barrel, grip, body, nib, finial, cap all can be swapped out w/something else. The only item that remains the same is the SS clip, although it would be nice to have different materials for that as well.  In case any of you are interested in a purchase, Will has offered a 25% discount to anybody that wants to buy a pen. Discount will be good until end of 2016. If I come back and there is a lot of interest here in it, I’ll post it.